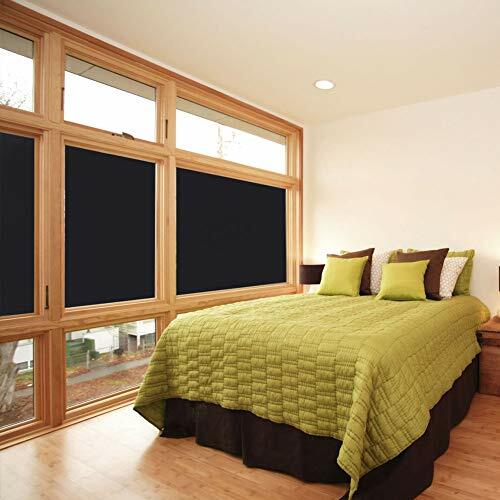 Blackout Window Film - IDEAL FOR DAYSLEEP - Thick and light material that guarantees 100% Blackout blocking Sun light. 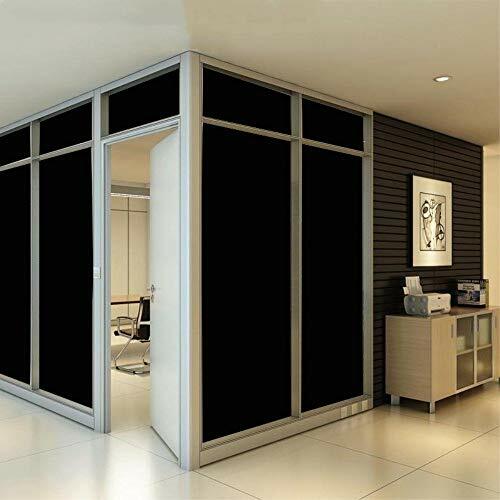 Perfect for those that work night shifts and need a dark room to ensure the best sleep quality during the day. Also useful for baby nursery. 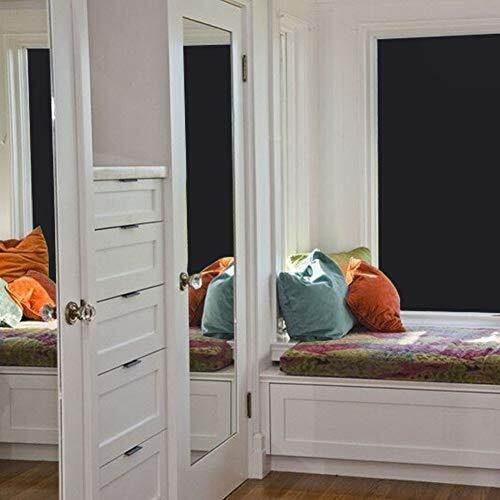 It will make your room darker than a costly curtain. 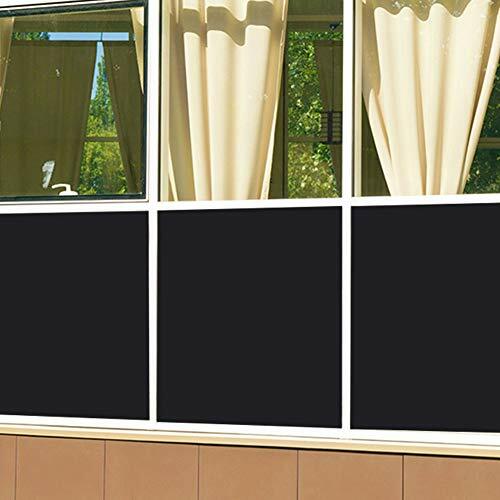 Blackout Window Film - INSULATION EFFECT - Saves energy blocking Sunlight and UV rays during the day. Heat will just not warm up your room. 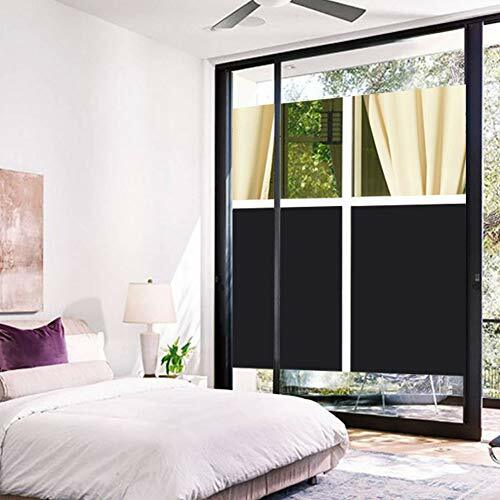 Blackout Window Film - NON ADHESIVE STATIC CLING - Very easy installation,it leaves no residues at all and can be installed and removed all over again. You can reuse it every summer and remove it during the winters. Make sure you stick it on a wet clean smooth surface. 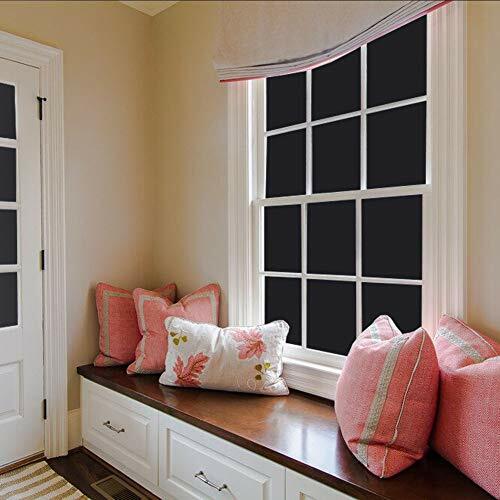 Blackout Window Film - CUTTING GUIDELINES - To help you cut and measure. We designed a unique pattern in the PROTECTIVE FILM. Before removing it you can follow the guidelines to easily cut it straight! It just takes a cutter or scissors and follow the guide lined pattern. 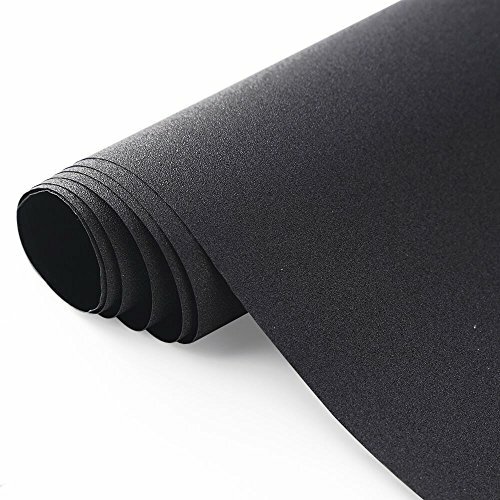 After you cut it you can remove the protective pattern film to stick it on your window. 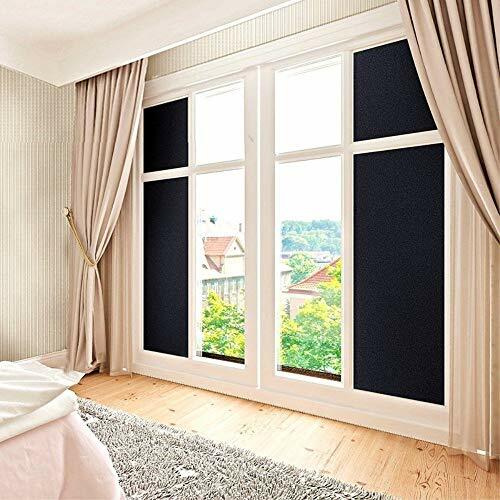 Blackout Window Film - PROTECT YOUR PRIVACY - Suitable for home and office install this opaque dark window film to ensure nobody can see what's inside your room. Anti-theft tool.